I am catching up with my Woodland Sampler this week. So excited to see the little falling oak leaves appear for the October block. The October block will also feature an owl!!!! This is possibly my favorite of the Woodland Sampler months, so I'll be working on it any moment I can until it is done :) There will also be a pair of hedgehogs frolicking in the maple leaves for September. Off for my walk now, need to see the autumn colors for real. So far this week I am trying my best to be productive. My plan at the moment is to work at a bit of everything all at once. 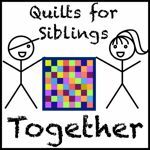 I'm currently knitting socks, cross stitching samplers and piecing a new quilt. This way I don't get stuck if I loose interest in any activity. Having a back-up plan means I am less likely to slip back into my skin picking. I had been pretty bad last week and am really really trying to improve on that front. So... more making of the things, yes! This morning I *finally* finished a month of my Woodland Sampler! The July block is literally all there is so far, but I'm really hoping to get September and October stitched up before October ends. The previous sections will likely have to wait until their month rolls around next year. I'm enjoying living in the right season right now, and don't want to work on Summer until the season feels right. I'm making a birthday quilt for myself. Bear Paw blocks in my current favorite colors with a low volume background. I have pieced nine so far with lots more in progress. 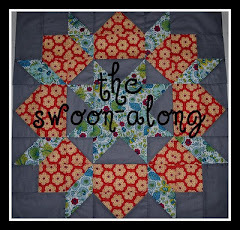 I'd love to finish this quilt top by Halloween and then hand quilt it during the colder weather. I'll be making 29 bear paws, as I am 29 now. With one blank block for a 5 x 6 layout. I work on this mostly at night when it's too dark to cross stitch. I have a pair of socks for Dan on my circular needles, and a pair for myself on my dpns. They generally get worked on in bed just before sleeping time. I hope to actually finish both pairs in the next week or so. As soon as I saw this canning jar block I absolutely had to make one for my Farmer's Wife quilt. I have officially left the book now, and intend to make any 6" block I fancy until I reach my goal of 63 blocks. Currently on 24, I think. I also stitched up this mini Sparkle block using a Sarah Jane pirate ship print I bought in London. I'd like to have a go at a few paper pieced blocks for this quilt too, but feeling just a little intimidated by paper piecing at this point. I have a few patterns printed out I intend to practice with though, so hopefully there will be progress there soon. Last night I taught myself to knit two socks at once on a circular needle. It's not perfect yet, but I'm still rather impressed. Waiting for longer needle to arrive and I'll have another go. My brother came to visit yesterday and gifted me this rather fantastic painting of R'lyeh, complete with hand finished frame. I love it. I also really really appreciate the fact that it is framed as I am really really bad at finding frames for things myself.